​Years ago after I had finally decided to get serious about Jesus, I set up a place in my home where I could meet with Him every morning. It was a sitting area in our house just off the kitchen. 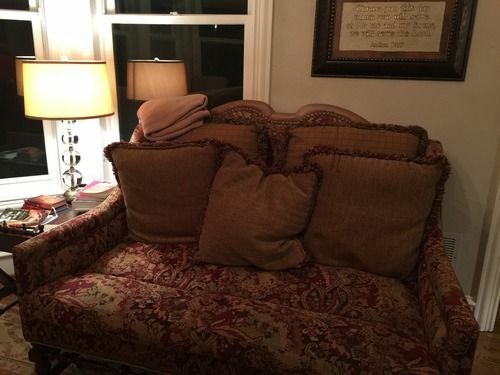 I made sure it was comfortable, had my Bible, devotionals and journal there and a cozy blanket to keep me warm. It is not the only place I pray, but it serves as a visual reminder to me that I have been specific about my commitment to meeting with Him and I know He’s waiting there for me. ​Recently after watching the trailer for a new movie called War Room, I told my child he was about to lose his downstairs toy closet. I got a chance to see the movie this past Saturday and as soon as I returned home, I finished clearing out the closet. I won’t spoil the whole movie for you, but one of the main characters, Miss Clara, mentors the other main character, Elizabeth, and tells her she needs to have a prayer closet – a place to meet God. Elizabeth needed that closet because she was in a battle to save her marriage. “But when you pray, go away by yourself, shut the door behind you, and pray to your Father in private. Then your Father, who sees everything, will reward you” (Matthew 6:6, NLT). ​Paul E. Billheimer says, "Satan does not care how many people read about prayer if only he can keep them from praying.” We can’t continue to allow Satan to keep us from praying. We need prayer, our families need prayer, our marriages need prayer, our children need prayer, our churches need prayer, our political leaders need prayer and our nation needs prayer. We can’t sit back and watch Satan continue to wreak havoc and devastation simply because we do not spend time in prayer. Prayer is an offensive tool in our spiritual toolbox. We can scream all we want, protest all we want, take Bible studies and even attend church, but if we fail to use the one thing God calls us to do (pray), our efforts are futile. God wants to fight for us. “…for the LORD your God is the one who goes with you, to fight for you against your enemies, to save you” (Deuteronomy 20:4). In the movie, Elizabeth used her clothes closet, but my closet is a shared closet with my husband so I can’t remove all of the distractions. However, there are a couple things I love about the closet I chose in my house. First, the closet sits under our front stairwell. It is the place we use as our “safe shelter” during extreme weather. This “safe shelter” is where I will now do business with the Lord as I sit under his wings of protection. 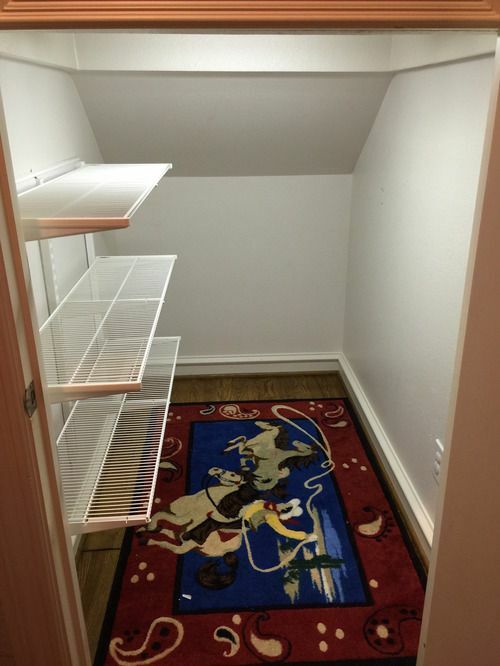 Second, because of the location of this closet, an adult cannot stand up in it. I will have no ability to get up and pace around while I pray, but instead will be forced to be on my knees…in complete surrender. 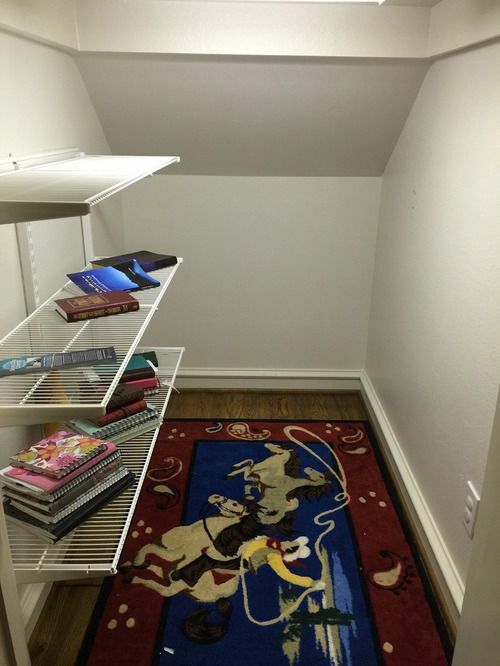 My prayer closet is a work in progress (including whether or not I am keeping the cowboy rug!). As I moved my prayer journals into it last night, even without reading one word, I could see the many prayers that have been written… not counting the countless numbers of prayers which have been spoken or said silently in my head. So many of these prayers have already been answered. Just typing these words causes me to remember and be flooded with the overwhelming love of my Father. I don’t know what my closet time will look like, but I know God will meet me there. I am committed to stepping up my prayer life as I pray the word of God in accordance with His will. ​God is calling the Church to awaken. He is getting our attention. Read Scripture and you will see that this has been His plan all along. “…and his Bride has made herself ready” (Revelation 19:7). This plea is not made to the unbelieving world because they do not have access to the same spiritual toolbox (at least not until the moment of their salvation that is), but instead it is made to the believer. Christian, get in your prayer closets. Our enemy is real and he is seeking to kill and destroy each one of us and everyone and everything we love and hold dear. The only way you can defeat the enemy is by allowing your God to fight for you. We enlist in this battle through prayer. One of the most moving parts of the movie is when a minister and his wife were looking at Miss Clara’s home and considering it for purchase. All of the furniture and belongings had been removed at this point, however as the minister walked into what was once Miss Clara’s prayer closet, he could sense that “someone had been praying in this closet.” I want the intensity of my prayer life to leave that kind of legacy and I hope you do too. Amen. I love this Erin. We are definitely in a spiritual war and the enemy comes only to steal, kill and destroy. Thankfully however, the battle is already won through Christ Jesus. I'm making my war room this weekend!! Thank you for this #CallToPrayer. I will be in the trenches locking arms in prayer with my brothers and sisters in Christ.